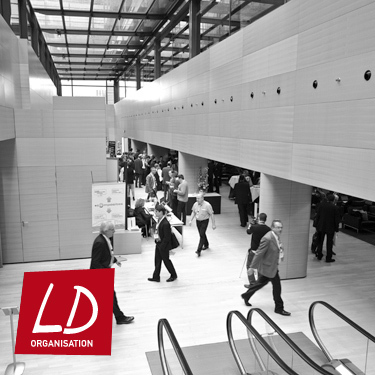 Our core business is the organisation of symposia and conferences. We operate mostly in a scientific, and often academic context, since our start in 1998. Our main office is located in Belgium, close to Brussels. We have a secondary office based in Milan, Italy and a sister company in Luxembourg. We concentrate on the full planning of your meeting, organising it and running it from set up to closure. In this way, you and your team can devote all your time and energy on the content of the meeting - the area where you matter most. We also assist you in raising the funds to make your meeting financially viable, by contacting potential sponsors as well as by setting up the commercial exhibition. Our consolidated database contains both scientific and commercial high-profile contacts, which we can target based on the aim of your meeting. Moreover, we run the meeting as it is happening. This allows you to fully concentrate on your presentation or discussion, to be an attentive host and to exchange information and knowledge effectively. In other words, we offer you a FULL SERVICE. Our experience is based on over 100 events, organised both on a national and international scale (14 countries worldwide). We run approximately 10 events per year, managing up to 4.500 participants and coordinating up to 150 exhibitors over a 12 months period. We have a track record of congress organisation across European countries (Benelux, France, Germany, Italy, Austria, Spain, Slovenia, Cyprus) but also Russia, Ukraine, Turkey and the United States. Our team is flexible and thoroughly skilled, addressing requests in English, French, German, Dutch and Italian.